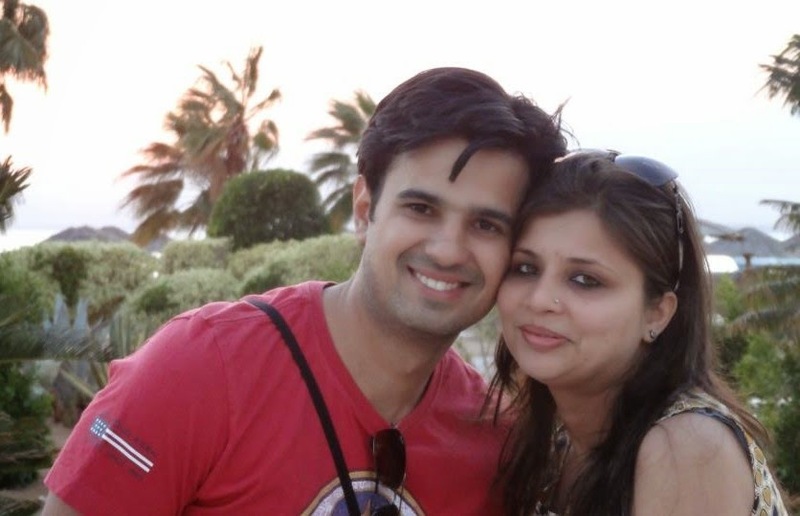 It was a fry-day yesterday in Delhi. The temperature is hitting a sizzling 47 degrees and no respite seems to be in site. What to do in this scorching sun? Well, take a refreshing drink, pour some ice and sit inside an air conditioned room with your feet up! 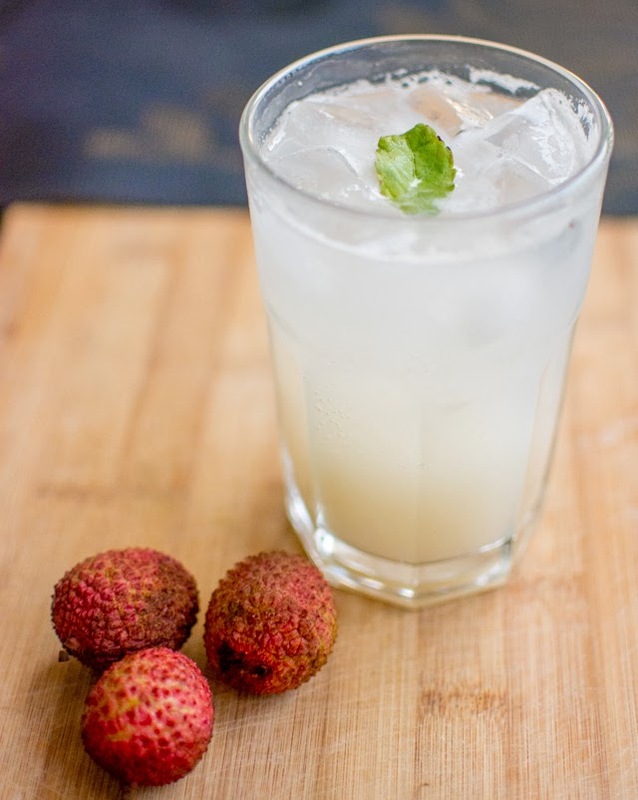 Presenting a delightful summer cooler with natural flavours of lychee, ginger, basil(!) and of course, lemon. 1. 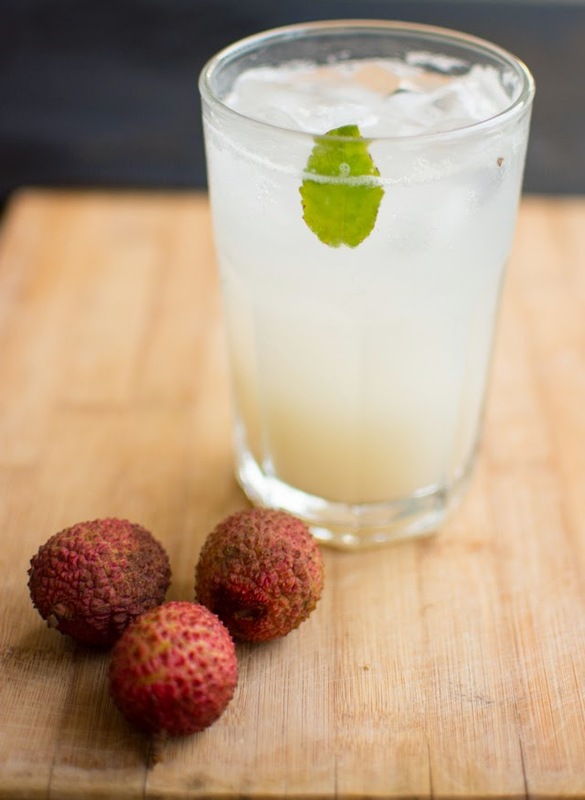 Grind the lychee pulp and strain to get just the pure sweet juice. 2. In about 1/2 cup of water, heat the grated ginger, basil leaves and sugar till sugar completely melts. Boil the water for about 5 - 10 minutes. Let it cool (~15 minutes). 3. 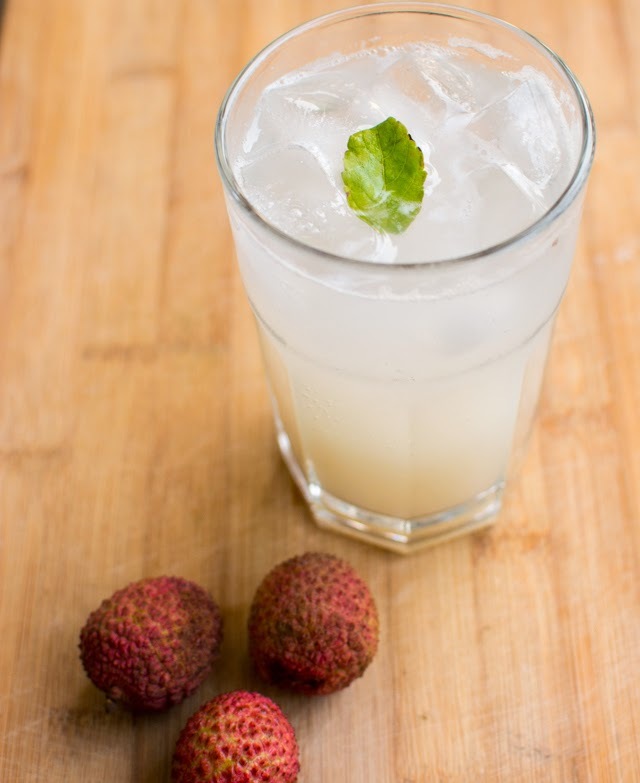 Strain and add the above liquid to the lychee juice. Now add the lemon juice and the concentrate is ready. 4. Fill up a glass with ice cubes and add the concentrate to fill the glass 3/4th. Top it with Soda and the refreshing cooler is ready! Garnish with a few basil leaves. Or even better - spike it with a bit of vodka!